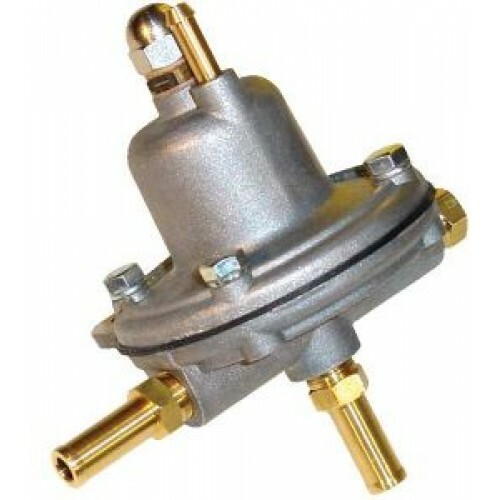 FSE Sytec (Malpassi) Brand adjustable fuel pressure regulator for EFI applications. A 1:1 ratio regulator with 8mm hosetail connections and optional gauge port (1/8th NPT). This regulator has a pressure range 1-5 Bar and is for use in modified and motorsport applications. These units operate with the typical fuel enrichment, as found in a normal production fuel regulator. The benefit of these valves is that they are ‘adjustable’ and the fuel pressure (at the injector) may be altered to suit the engine’s requirements. An ideal regulator for use with our individual throttle body kits. NOT suitable for carburettor applications - please see our other regulators.